This lovely oblong box Art Deco box stands on chromed rectangular feet. 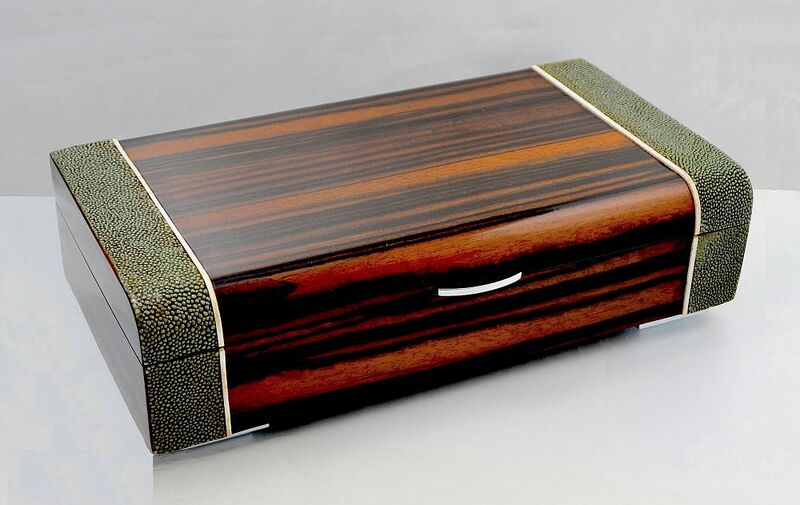 The exterior of the box is macassar ebony veneer with two vertical panels of greenish-grey shagreen on each end with a fine band of ivory sandwiched between the ebony and the shagreen. The small catch is also of ebony. The box is hinged and opens to reveal three separate compartments. Probably French and probably originally for cigarettes it would now make a wonderful jewellery or desk box.